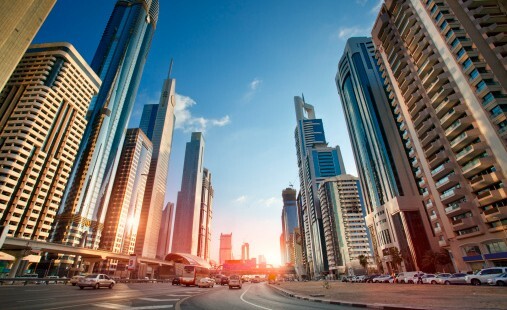 Dubai: The Dubai Land Department has updated its online Rental Index for 2018, a process which carries extra significance this time given that residential rents had taken a hit across key locations for the first time since the Index came into being. The index is based on Decree No. 43 for 2013, which determines rental fee increases in Dubai for all types of property. It lists the rents for all of the freehold locations in Dubai where a resident base has started to develop, including for stand-alone high-rises in DIFC such as Liberty House, Sky Gardens and Index Tower. But for the upcoming residential hotspots of Dubai South and Citywalk (off Al Wasl Road), there are as yet no indicators in the Index. A one-bedroom apartment at Dubai Marina is listed at between Dh70,000-Dh110,000. And that Business Bay is between Dh75,000-Dh105,000 on the portal, while for JLT (Jumeirah Lake Towers), the same is Dh65,000-Dh95,000, according to the Dubai Land Department portal. An increase of 10 per cent of the rental value for the unit if the current paid rent is between 21 and 30 per cent of the average for that location; An increase of 15 per cent if the rent is 31-40 per cent less than the average provided; and An increase of 20 per cent if the rent is less than 40 per cent of the average wage. According to market sources, the updated Index does stick relatively close to the changes that have been brought about in asking rents over the course of this year. But given the broadness of the rental bands provided for type of unit and location, there will be some tenants who will have issues with that. For instance, the type of build quality differs widely within a sub-location. No one can say that all the towers at Dubai Marina or JLT offer the same living experience. Or views for that matter. A Burj Khalifa one-bed can command between Dh160,000-Dh170,000 and if in Palm Jumeirah, that would be Dh100,000-Dh155,000. Someone interested in moving to the Downtown should set aside Dh80,000 to Dh105,000. For the budget conscious, the new 2018 Index update has pegged a one-bedroom unit at International City at Dh35,000 to Dh40,000. The Index also provides updated averages for the micro-locations in Deira and Bur Dubai. As cases in point, a Karama address would average Dh45,000 to Dh70000 for a one-bedroom, and Al Rigga in Deira at Dh50,000-Dh70,000. Also, the new update is for all residential, commercial and industrial properties in Dubai. The Dubai Land Department based these on multiple date points, including the average data of tenancy contracts registered in the “Ejari” system and the number of units registered in its databases. For the first time, a land rent index has been added for land with annually renewable lease contracts.